The T Project is the first shelter dedicated to housing the homeless transgender community in Singapore. This independent community initiative was set up by Miss June Chua and her late sister Miss Alicia Chua in June 2014. They realised that there were many gaps in the existing social service sectors, which did not address the needs of Singapore’s transgender community. Aware of the challenges faced by transgender individuals, they decided to open a shelter that would serve as a temporary safe haven for anyone who was homeless in the community. The residents are welcome to stay at the shelter for an initial period of 6 months, until they are able to find alternative housing or a more permanent place. In June 2014, our first shelter was set up with the help of another NGO. 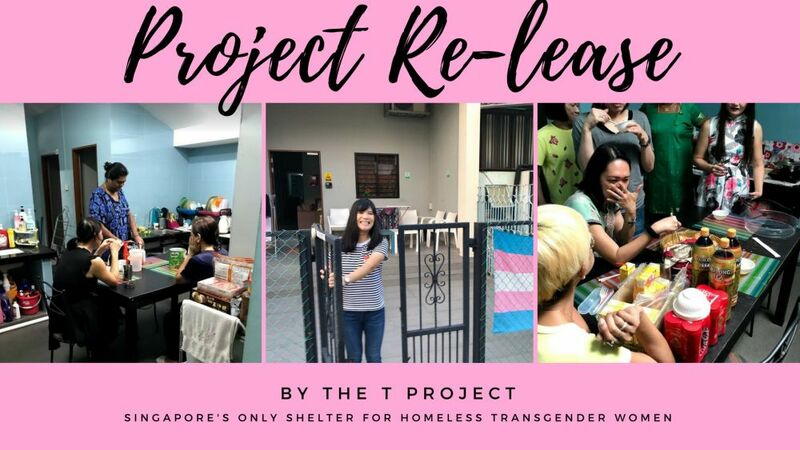 The T Project shelter is the only social service in Singapore that exists specifically to cater to the female transgender community and transgender people living with HIV. Our shelter program also provides suitable referral support to our residents to meet their employment, social, healthcare, and emotional needs. We started our psycho-social programs by inviting registered social workers and counsellors to visit our shelter to offer counselling services to residents. In June 2016, with the help of the community and allies, The T Project managed to raise approximately $130,000 to set up our current shelter. In July and August 2018, we managed to raise another $60,000 for shelter rent and operations in a campaign called ‘Project Re-Lease’. In our outreach efforts to corporations and social service sectors, it became clear that job opportunities were really limited for the transgender community. Therefore, The T Project decided to create job opportunities for our own community. We actively connect interested trans individuals (both resident and non-resident) to jobs that are trans-affirmative. The T Project also connects residents to a social worker if they are eligible for financial or medical aid. We hope that with a safe, rent-free place to stay at, the residents will have stability and a sense of permanency in their lives. This will better enable them to plan for their futures. We also conduct an ongoing volunteer recruitment drive to train volunteers to support shelter programs like our food ration drives and fundraising events. In 2018, the Alicia Community Centre was set up to provide a safe space for transgender/gender-non-binary individuals of all ages—particularly the youth. Apart from peer counselling services for the marginalised, the centre offers a non-judgmental place for LGBTQ youths to meet up and get social support. The public is welcome to hold workshops and visit the centre to get more information about the community. The centre will house a library featuring trans-themed literature, as well as a museum documenting the history of the community in Singapore. June founded The T Project together with her late sister Alicia in 2014, to meet the needs of the transgender community in Singapore. Since then, June has gone on to a broad range of outreach and advocacy events. In Singapore, she has spoken at numerous panels and conferences, and collaborated with local educational institutions and social workers. Internationally, she participated in the 7th ILGA Asia Conference and the Peace Boat’s 97th Voyage Asia. She also participated in the U.S. Department of State’s International Visitor Leadership Program in 2018. 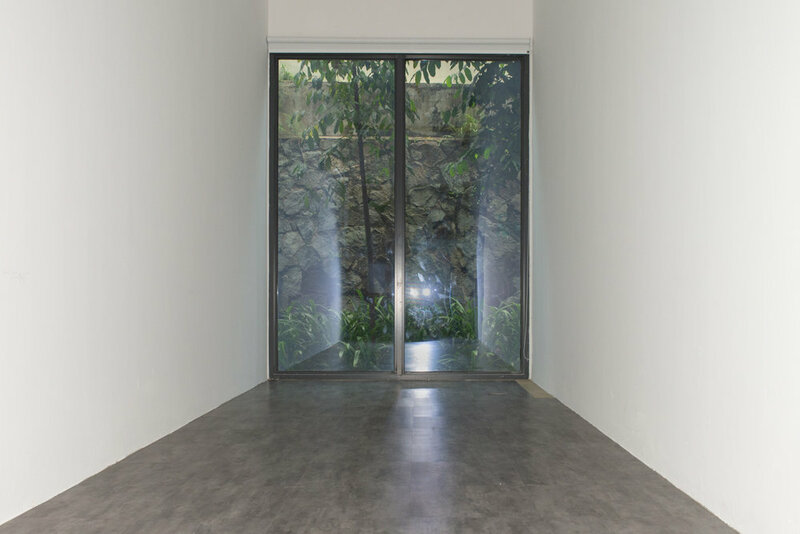 June’s work has garnered the attention of many. She was named the AWARE Champion for Gender Equality & Justice Award and the Promising Advocate of the Year by The Working Community 3, to name a few of her awards. Shan is a registered social worker with a Masters in Social Work and Postgraduate Diploma in Psychology. He is currently employed as a Social Worker in a local youth agency. In 2010, Shan started my work with the Transgender community in Oogachaga, a community based LGBTQ organisation. His experience includes mitigating the needs of transgender people and their families, as well as, sexual disease affected clients. Since then Shan have been involved in multiple international conferences organized by bodies such as APEC, UNAIDS and APTN, representing Singapore as transgender activist. His volunteer work with the T Project began in 2017 with the development of the AWARE Trans empowerment workshops for Transgender women. With the opening of the Alicia Community Center, Shan will be more actively engaged in the seeing of transgender and questioning clients as a peer counsellor.